@SimProse I feel you. There has been a lot of bugs in the engine for sure. While I can't say for sure, I think they've taken care of most of them by now? But maybe it was a little to late? In any case, looked up your game, nice. It reminds me of those old fighting fantasy game books with the life system. How long did it take you to learn the engine and make the game? @Milennin Yeah well the launch didn't go super smooth so they probably lost a lot of hype there. But I believe they could/can make up for that by showing effort. Although I admit it's not easy without a strong core community backing them up. MV has a handfull of YouTuber's doing tutorials and first impression videos, acting like a glue for the community. And then there's skilled and nice plugin creators like Yanfly, MogHunter, Galv etc that helped fix most of the flaws of the engine once it launched and enhanced it further. VN Maker doesn't have neither of those... unfortunally. Want to buy Humble bundle, can't buy humble bundle. Mastercard denied. Paypal, denied. Angy... angry panda! Raarrgh! Send me the money, I'll buy it for you. Parallax Panda and TakeHomeTheCup like this. @FrozenNorseman Just the 1$ one for the character HUB stuff. Actually managed to get a friend to gift it to me so I’m much happier today. But still not sure why I couldn’t buy it myself. Best way to start writing a story? That's a question I've been asking myself for years now. Tried many things, still haven't got an answer. megumi014 and Marsigne like this. @Matseb2611 An idea past on from your mom? Wow, that's cool. Did you maybe have an inspirational drought at the time as well? I came up with something this morning that could fit into a cyber punk game and I've been writing all day. I just hope I can finish an outline before my inspiration runs out. No, gladly there were no droughts. I kind of always have ideas (if anything I don't have the time to bring them all to life), but one day when I was telling my mum about my games, she mentioned that idea, and I decided to go on with it. Good idea. Hold on to that muse before she runs off. I'll try my best to do so. Although it's past midnight now so I probably should go to bed. I can always continue tomorrow. Matseb2611 and Finnuval like this. @Benny Jackdaw Many authors choose to write an outline of their story before they start writing they actual novel/story. It's basically a road map that you can follow so you don't have to make everything up as you go. Planning ahead to put it simple. just think about the story as a whole. when I come up with a story, I generally think up how the story will go in a nutshell and use that as my map. @Benny Jackdaw That's not how my creative mind works though. I come up with a single character, scene or maybe even just a line of dialogue that I like and then I try to make a story out of it. I kinda want to make an RPG maker game, I also kinda want to write a VN. So I’m stuck between a rock and a hard place. Best of luck to you then, @OmnislashXX . I'll be back, just need a break where I'm not thinking about making RM games all the time. Maybe even spend some time on my other hobbies too. But, when your full of ideas, that's the best time to do it. Of course, than you can be overwhelmed. @OmnislashXX True. I think sometimes when you've just been grinding away at it, at some point you have to stop banging your head against that same wall. Maybe just "quit", and do something else for a while. Then you can come back with a fresh mindset and start over again. At least I that's how I felt this time around. I wonder if there'll be a forum section dedicated to Pixel Game Maker MV or not? Also granted, idk how are PGM rivals like construct, GM, and 2D kits in Unity (that also claimed no need scripting to make 2D platformer) works. But still, in the end which one that able to make the tool quite convenient, it's the one that will win. True. I’d say that Game Maker has the upper hand for now when it comes to 2D engines where there is ”no programming needed”. Hard to say if Pixel Game Maker can trumf the GM brand which have been in the market for years. We’ll have to wait and see, but I’m doubtful. Just finished playing 「Zelda: A Link Between Worlds」 on my 2DS. Great Zelda game, very nostalgic for old SNES fans. What now? starlight dream, Guiguimu and Sauteed_Onion like this. Sauteed_Onion and Matseb2611 like this. I'll have to read that blog! Matseb2611 and Sauteed_Onion like this. Sauteed_Onion, starlight dream, Mrs_Allykat and 1 other person like this. @Parallax Panda While I search for that game here's a One-Map Challenge game that used POP! Mrs_Allykat and Parallax Panda like this. starlight dream and Mrs_Allykat like this. I would think that some really sharp parallax scrolling "layers" would make a regular map using POP would end up with a very "Minecraft" looking game-zone. It could end up being very interesting to look at! Argh... why do all time system plugins come with (what seems to be) forced month/year/season stuffs? I just want time and week days darn it! Jhale M. and starlight dream like this. Jhale M. and Parallax Panda like this. @The Stranger I guess they all assume that the only reason one would want a day/night cycle is because you're building a harvest moon clone! ...aw.. Well, the whole time/day problem got be bugged out so I'm going to step away from it for a while and think about it later. I have to do it eventually but right now it seems like a hassle. Gab window might be worth a try though. 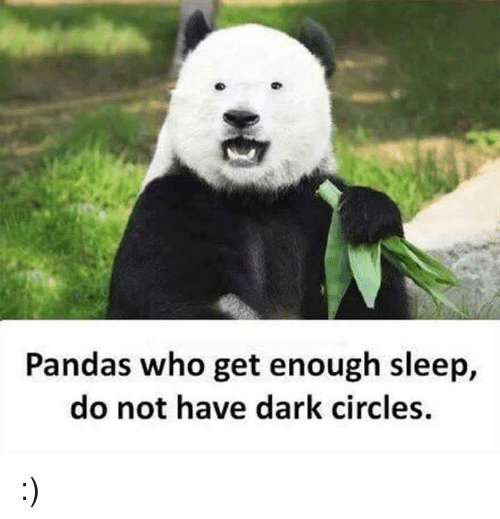 I didn't notice your post before this one Panda. I use a system for time of day (light dark) in a project I have on hold at the moment. It's an adaptation from SRD and Driftood Gaming's set up. I'll PM you my code. Just make a common event, and then it's just a matter of putting the variables in whatever menu/gui you use. Got released from the hospital earlier today with some medicine called "Clopidogrel" (Will take short break from MV during rehabilitation). Sauteed_Onion, starlight dream, Kes and 7 others like this. Yeah, we paid him well. Got a stroke (at 32! ), got hospitalized, got a snoring room neighbour. But, I’m lucky to still be alive (and able to speak & move normally). Jhale M., The Stranger and Sauteed_Onion like this. @Sauteed_Onion Sorry you've been through such a hard experience but I'm happy if you're feeling mewfully better now. Parallax Panda, Vincent Chu, Guiguimu and 1 other person like this. Thanks everyone. I’ll try not to worry too much and stay positive. I’ll also be looking after my diet and sleep habits in the future. I actually hate (fear) hospitals and medicine so all the support is really appreciated! Hi! How are you feeling today? Most of us dislike hospitals but you'll be back home soon, when you're not at risk anymore^^ A couple of days of monitoring to make sure you're stable and then you're ready to return to your cozy place. Aw, maaan... Only got room for 3 party member's "battle windows" on screen, so maybe I should just go with 3 (instead of 4)? Hm...decisions! Gah! I keep scratching my head over what lightning plugin to use! I've got some difficult choices to make. starlight dream, Sauteed_Onion and Guiguimu like this. So after much consideration, I've decided to NOT uninstall RMMV. I just can't allow myself to "quit" RM without finishing at least ONE game! Sauteed_Onion, Nightblade50, starlight dream and 1 other person like this. Hahaha And the seriousness of that review is even funnier. Now how do I protect my eyes from the tears of laughter? "Now how do I protect my eyes from the tears of laughter?" - Onion Googles! Gabrelik, starlight dream, Nightblade50 and 1 other person like this. @starlight dream True. That's what we call "Panda Power"! And since sequels are almost always worse than the originals let's hope not! @Poryg You'll be surprised what bamboo can do for you. It improves your life I tell ya! @OmnislashXX Crap... it seems like not everyone was cured! Run! Protect your braaa-iiiin-sss! starlight dream and OmnislashXX like this. Lets hope @OmnislashXX will get enough sleep tonight. Back in the armor I go. Going to take this chance to check out the free trial for VN maker on STEAM! Gabrelik and Parallax Panda like this. Got a new job, starting today. Saw the actual contract & realized that the devil is in the details. Didn’t sign, now I don’t have a new job. @Parallax Panda I like your last comment here about the vacant job positions. Something to chew on. It's always eye-opening to learn how things work in other countries. I wouldn't want one of my relatives to take on my debts. It's risky business, and it'd be stressful having that possibility looming over one's head. Good luck! I hope you'll find something you're much more comfortable doing! @starlight dream Thank you. Well regarding inheriting family debt, I think you can disown your family legally and thus not inherit any debt, but I'm not 100% sure. I'll not put myself in that position and would flat out refuse to pay and flee the country if necessary. I've been thinking about what an unorganized mess I am in regards of the pursuit of my interests. FACT: I've too many, and too little time! starlight dream, slimmmeiske2 and The Stranger like this.